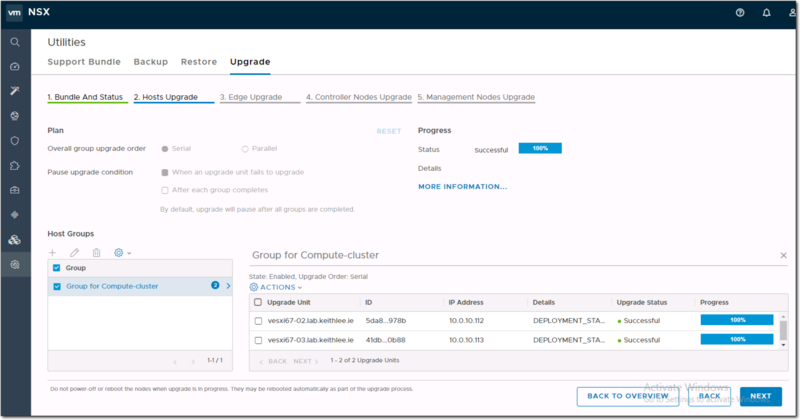 Just a quick blog post in case its useful to others to see the steps of a NSX-T upgrade, in this case its from 2.3 to 2.3.1 As its holiday season, and time with the family, its a stream of screen grabs and some comments. 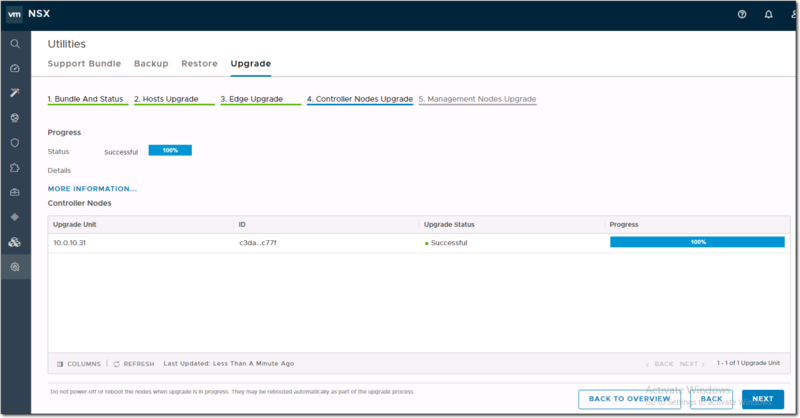 This upgrade was performed on one of my PKS NSX-T nested environments in my home lab. 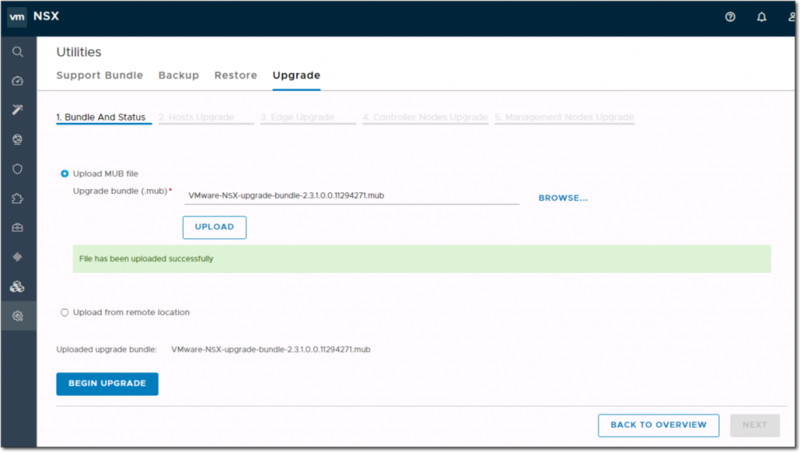 First was to perform a backup. 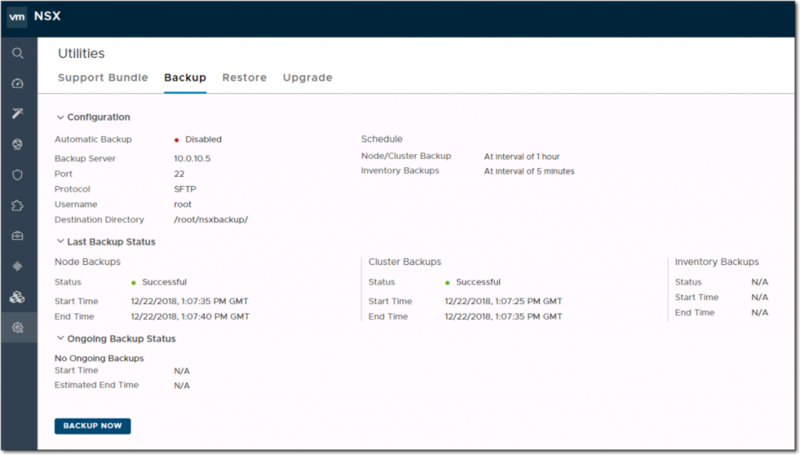 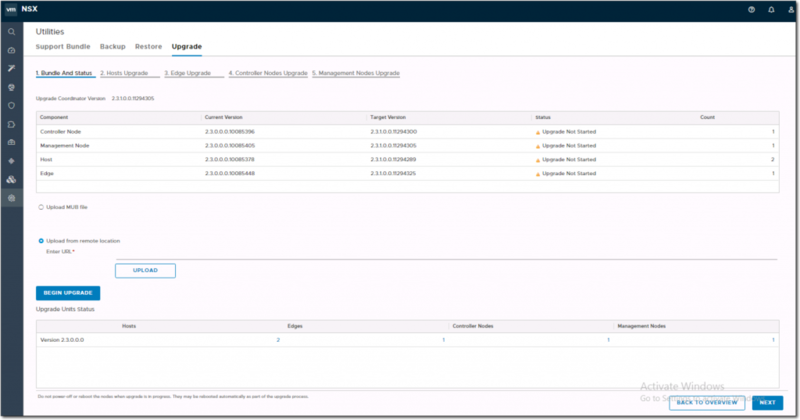 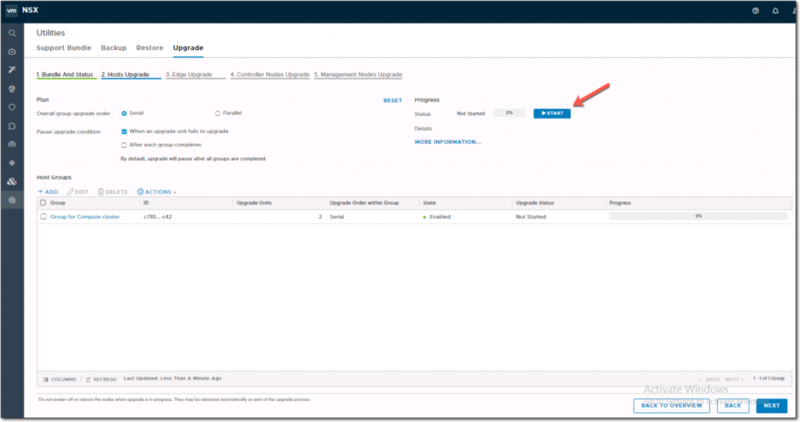 In NSX Manager go System > Utilities > Backup. 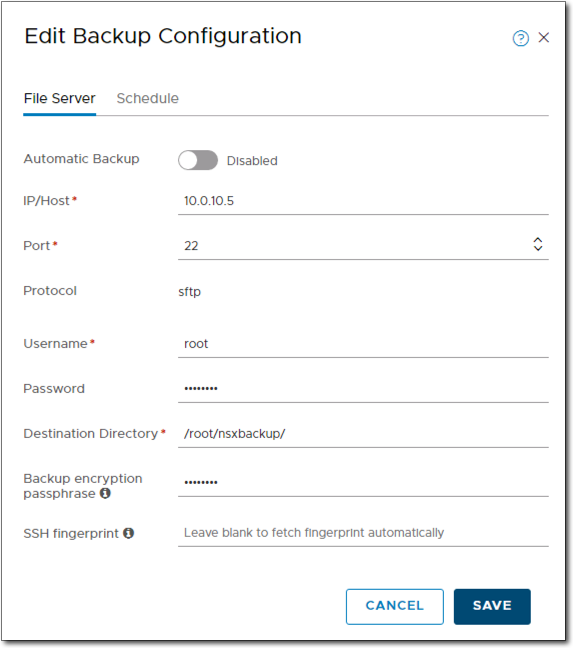 Click EDIT to edit the backup configuration. 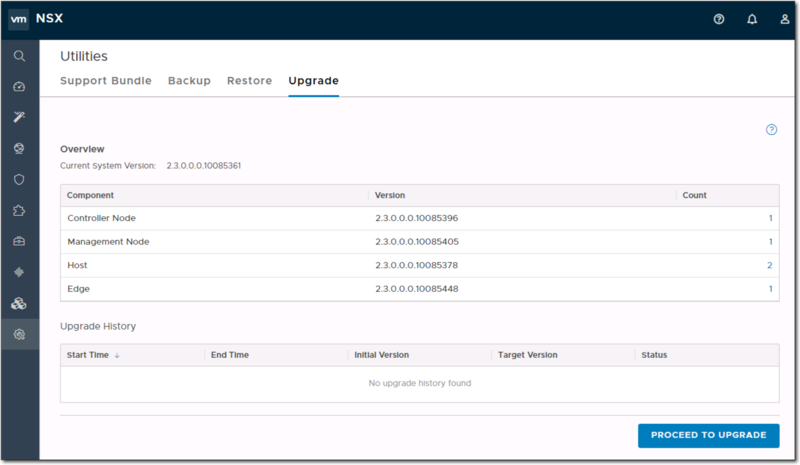 Once configured, click the BACKUP NOW button to start the backup. It’s a quick process as seen below in my env it only took 10 seconds. 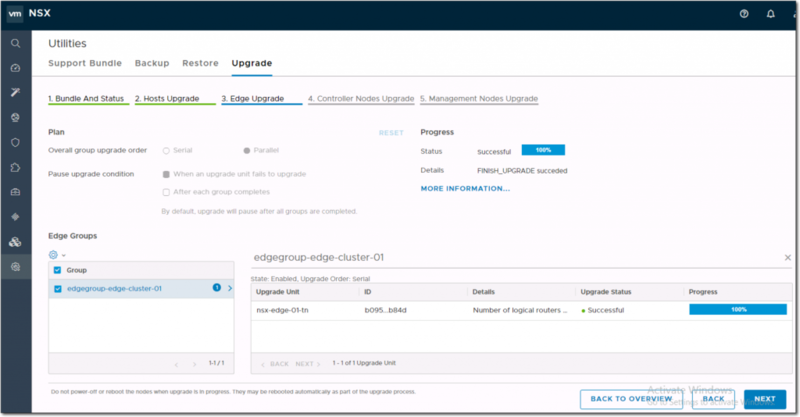 You will be presented with a summary of the upgrade, such as the current version and the target version.